This Diwali, beat air-pollution blues with Blueair’s attractive offers on its air purifiers. The festive season often sees air pollution levels rise to very high levels and maintaining lung health becomes an uphill battle. To beat these rising levels of air pollution, also affecting indoor air quality, Swedish company Blueair is making a year long clean air offer with a free air filter. A further discount of 15% on any air purifier further makes the festive offer attractive. Now, with the fast-deteriorating air quality in most Indian cities, air purifiers have become an essential this Diwali. Blueair air purifiers are the perfect choice for the health and wellness conscious consumers. With the rising levels of air pollution at this time of the year, air purifier is a perfect family purchase. 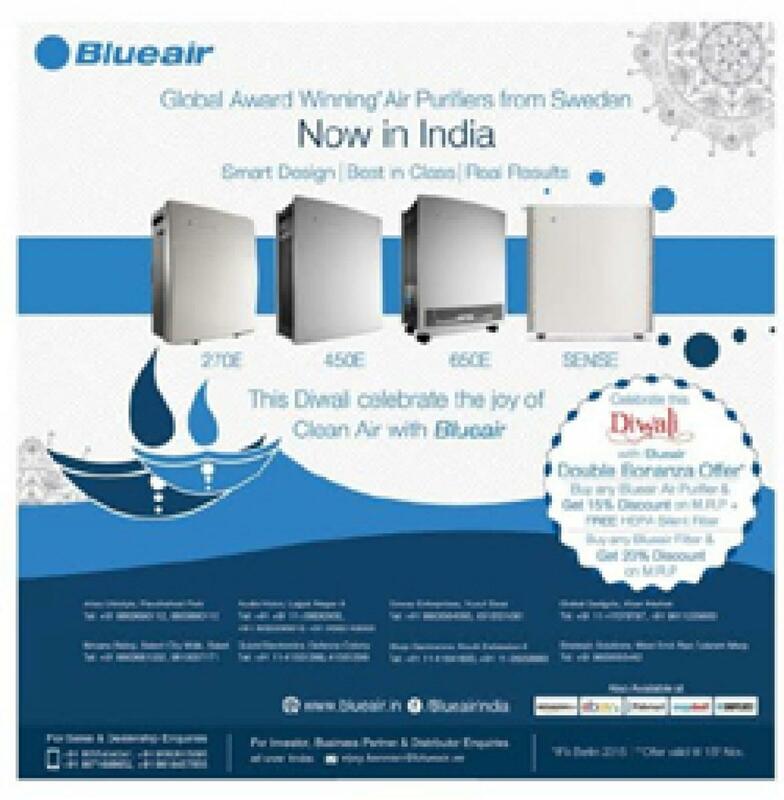 For more details, log on to http://blueair.in/where-buy.html to find your nearest dealer.